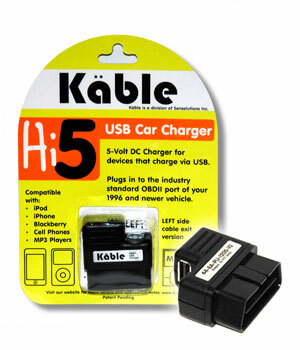 This car charger works with most USB devices, and can serve as a replacement for the original charger or as an extra charger for a second vehicle. Plugs Odotrack in to the On-Board Diagnostic port (OBD II) of your 1996 and newr vehicle. Note: The OBD II port is usually located under the dash which makes for hidden and clean installation. Installation instructions available on YouTube.